The minimum age for a volunteer to come alone is 17. We will accept 16 year olds with a parent or adult relative. We do not have an age limit but please make sure the “seniors” are able to do the physical activity required, including the extensive walking on bases & trips. Volunteers can ONLY begin on the scheduled program dates. See the Schedule on the website for programs. The arrival dates will be approximately every 3 weeks (with some exceptions). The standard program is 3 weeks; however volunteers can do a 2 week minimum. Volunteers may stay longer than 3 weeks provided they have Sar-El approval, a valid visa, & valid insurance. The maximum time limit is the lesser of 3 months OR the expiration date of your tourist visa. Beginning in 2016, volunteers can begin the program only on Sundays, according to the schedule. We will pick people up from the airport on those days. For the rest of 2015 we will allow Monday arrivals only if the flight arrives by 14:00. On Sundays, the flights must arrive by 17:00. However please try to encourage volunteers to schedule a Sunday arrival instead of a Monday arrival. It is very difficult to pick people up on Mondays. Any exceptions must be approved by Pamela Lazarus in advance, BEFORE flight reservations are made. Please tell volunteers that sometimes they may have to wait at the airport for other arrivals. We try to minimize the waiting time. We will make special arrangements for groups of 10 or more people to begin on dates other than those on the Schedule. Contact Pamela for information if you have a special group. THE MEETING PLACE IN THE AIRPORT TERMINAL IS IN THE ARRIVALS HALL, AT THE CHAIRS TO THE RIGHT AS YOU FACE THE EXIT 2 DOORS, NEXT TO THE SWAROVSKI JEWELRY COUNTER. VOLUNTEERS SHOULD CALL PAMELA (0528-219945) IF THEY CANNOT FIND THE GROUP. If a volunteer is in Israel early & will join the program on a scheduled Sunday, he must call Pamela to determine his meeting place & time. Usually the meeting place is the airport (but sometimes not). Contact with Pamela is necessary. Volunteers cannot just show up at the airport anytime they want on the starting date. They MUST call to check in if they arrive before the starting date. If you are organizing a special Group, we must have the information 4 weeks in advance. Insurance coverage is mandatory for all volunteers. This can be their regular insurance company (if it covers this region) or special travel insurance. This must be medical insurance which will cover doctors’ bills, hospitalization, emergency room. Most insurance companies will require the patient to pay the bill here & then file a claim back home for reimbursement. It is up to the volunteer to know what his insurance company requires. Every volunteer must have a credit card or enough cash to cover medical expenses. Emergency room treatment is an automatic 1200 shekels or more which must be paid. Private doctors will also charge fees. Volunteers must have credit cards or enough cash to cover such emergencies. 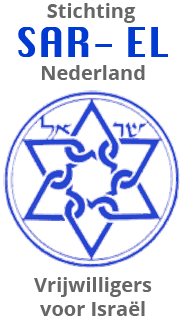 3 copies of proof of the insurance must be brought–1 for Sar-El to keep, 1 for the volunteer to carry, & 1 for the madricha. It is suggested that volunteers have additional travel insurance to cover the amount of the deductible of their regular insurance. Volunteers will NOT be admitted to the program without proof of insurance. MEDICINE—Volunteers should bring copies of their prescriptions for medications. However this does NOT mean that a pharmacy will automatically fill a prescription from overseas—in fact, usually it will NOT do so. But if a volunteer runs out of medicine & has to see a doctor, then having a prescription may make it easier. BUT THE BEST THING IS FOR PEOPLE TO BRING ENOUGH MEDICINE FOR THEIR WHOLE TRIP & THEY SHOULD KEEP IT IN THEIR HAND LUGGAGE ON THE PLANE. PLEASE REMIND VOLUNTEERS TO TAKE THEIR MEDICINES WITH THEM EACH WEEKEND! VOLUNTEERS SHOULD KNOW THAT THERE ARE NOT ALWAYS REFRIGERATORS FOR THEIR MEDICATION. VOLUNTEERS WITH MEDICAL CONDITIONS WHICH BURDEN THE MADRICHOT OR OTHER VOLUNTEERS (SLEEP APNEA, HEART CONDITIONS, DIABETES, ETC.) MAY BE ASKED TO LEAVE THE PROGRAM. THE REPRESENTATIVES MUST BE VERY CAREFUL WHEN INTERVIEWING & APPROVING THESE PEOPLE. PLEASE MAKE SURE YOUR VOLUNTEER IS IN GOOD PHYSICAL AND MENTAL CONDITION BEFORE APPROVAL TO DO THE PROGRAM. Pack lightly; you must carry your own suitcase (there are no “bellcaps” or “porters” in the army). Bring a small bag or backpack for weekends. Bring a towel, sheets & a pillow (if you need one) because not all bases have them. Bring closed shoes which can be used for work as some bases do not have boots for volunteers (gym shoes, sneakers, work shoes). CARRY ALL MEDICINES, COPY OF PRESCRIPTIONS, CLEAN UNDERWEAR & SOCKS, A CHANGE OF CLOTHING & YOUR SAR-EL PAPERS IN YOUR CARRY ON BAGGAGE. We welcome volunteers’ pictures and articles about Sar-El, but please refrain from taking pictures of anything that you think may be classified or sensitive. If you have questions about what you can photograph & what is not allowed, ask the madricha. Sar-El will take action against volunteers who take pictures of things that are classified or sensitive. Volunteers will be dismissed from the program and will not be allowed to return if they break this rule. DO NOT WRITE THE NAMES OF BASES IN YOUR ARTICLES OR ON WEBSITES. The minimum time commitment for a program is 2 weeks (except for special 1 week programs). The usual program is for 3 weeks. Volunteers may stay in the program for a MAXIMUM of 3 months IF approved by Sar-El, as long as they have a valid visa & valid insurance. Approval for extended programs will be determined while volunteer is on initial program. Sometimes there are blackout dates due to the holidays. Please check the website Schedule for updated information. Please tell your volunteers that sometimes they will have to leave the bases on holidays & sometimes for a few days if the holiday is in the middle of the week. Because we are given very little notice from the bases, the volunteers should be prepared to stay in hotels during the holidays. We will try to update you if we find out information, but it doesn’t always come to us on a timely basis. If volunteers do not want to incur the expense or spend so much time away from the bases, they should avoid coming during holidays. This applies (but is not limited) to Rosh Hashanah, Yom Kippur, Succot, Pesach, & Shavuot. Usually during these times off the bases, Beit Oded is closed. Sometimes we have special One (1) Week Groups. These are announced in advance. People must be at the airport at 8:00 am on the Sunday morning that the group will begin. If a volunteer cannot be at the airport at 8:00 am, then he will not be allowed to do the 1 week program. Sometimes the meeting place for the 1 week groups will be at a different place than the airport. Check the website for information and check the Schedule for 1 Week Groups. Volunteers will have to provide their own transportation to the airport after the program is over. This also applies to leaving the bases on the weekends & returning on Sunday morning. Sar-El will take people to the bases from the airport on the first day of the program; and will return the group to a central area in Tel Aviv on the last day of a 3 week program. Usually there is a ride from the bases to a central place in Tel Aviv on Thursday; and from the central meeting place to the bases on Sundays. Volunteers will be told all the information when they are on the bases. Rides are usually given but it is not guaranteed. If volunteers want to extend their tickets, they must call the airlines themselves. The madrichot do not do this. Sar-El volunteers must have permission from their madrichot (& commanders) to travel to certain areas on the weekends due to security restrictions. Sometimes travel is denied due to the location. Travel to Egypt (including Sinai) & Jordan (including Petra) is not allowed while someone is on the Sar-El program. These trips can be made after Sar-El. Trips & evening activities are part of the Sar-El program. The madrichot spend a lot of time planning these activities. The weekly schedule is generally as follows: during the first week of a program, there is no trip; during the second week of a program, there is usually a trip; during the third week, there is usually a trip. This is based on a 3 week “program” beginning with the scheduled program start date. Please advise the volunteers that there may be changes to the schedule. The work week ends on a Thursday. Volunteers should be prepared to stay at hotels (or Beit Oded if it is available) Thursday, Friday & Saturday nights and return to the base on Sunday. VOLUNTEERS SHOULD PLAN THEIR RETURN FLIGHTS FOR LATE THURSDAY NIGHTS OR AFTER THURSDAY. See our website for suggested Tour Guides. If anyone does any of these things, he will be dismissed from the program immediately. We often have problems with “subtle” proselytizing. Please make sure that your volunteers understand that they cannot talk about their religion in any way which may be construed as trying to impart one’s beliefs on someone else or which is intended to be persuasive or which is offensive. The best thing is to tell your volunteers NOT to talk about religion or religious issues. This is a very delicate issue & there is a fine line between what is acceptable & what is unacceptable. Please make sure your volunteers understand that if they do or say anything which makes other people feel uncomfortable or if they pass out or leave literature on the base, they will be asked to leave the program. The same applies for talking about politics. We know it is hard to be in Israel & not talk “politics”, but just be careful not to get too argumentative. If there are any problems, the volunteer will be asked to leave the program. Remember, the army is not “political” & the soldiers are not allowed to talk about politics. Volunteers will also be dismissed from the program if they exhibit any other inappropriate behavior such as not following base rules, not listening to madrichot’s instructions, swearing, talking back or arguing with the madrichot, causing dissention among the other volunteers, acting inappropriately toward the other volunteers. The volunteers who come to Sar-El are adults and they are expected to act like adults. Make sure all volunteers have Pamela’s phone number—0528-219945 (to call from abroad—+972-528-219945). They should always call when they arrive & are settled to reconfirm pickup times, etc. Any volunteer holding an Israeli passport in addition to another one must bring both passports. We need the non- Israeli passport to register the person for Sar-El. Upon entering & leaving Israel, he will be asked to present his Israeli passport. Before volunteers travel, they must make sure that their passports expire at least 6 months after their return flight date. Verify with the airline for specific information. Tell your volunteers NOT to travel to Israel via Jordan or Egypt. They may only get a 1 month visa instead of the usual 3 month visa. If they try to extend their visa, the Minister of Interior sometimes will refuse. Sar-El has no say in this matter—it is up to the Minister of Interior office. There is extensive questioning of people entering Israel at these borders (more than the usual questioning at Ben Gurion). If they want to travel to these countries, tell them to do it after Sar-El. Volunteers cannot stay at Beit Oded until they have begun the program. Thus a volunteer who arrives early cannot stay at Beit Oded. There is no guarantee that Beit Oded is available on the weekends. Volunteers should always have alternate places to stay on the weekends in case Beit Oded is full or not available. The madrichot will sign up people for Beit Oded on Mondays for the following weekend. Volunteers cannot stay at Beit Oded after the program is finished. Beit Oded is only open on the weekends, not during the week. Tell volunteers to check their ATM cards before they leave home to make sure they will work in Israel. Volunteers should also advise their credit card company as to how long the volunteer will be in Israel. Travelers’ checks are not always easy to cash. ATM cards are advisable. Banks are closed on Fridays and Saturdays. If a volunteer wants to be in contact with people in Israel or back home, he/she should rent a cell phone. Phone cards for public phones are available at the airport and stores BUT most bases do not have public phones. Cell phones are not that expensive and it is easy to rent one in advance before coming to Israel. There is a phone store at the airport. See the website for suggested phone rental companies. 24. SCHEDULES FOR THE CURRENT YEAR & FOLLOWING YEAR ARE ON THE WEBSITE. 25. ALL VOLUNTEERS ARE SUBJECT TO SPECIAL SECURITY CLEARANCE SO ALL FORMS MUST BE FILLED OUT CORRECTLY & COMPLETELY. As always, thank you very much for all of your hard work. If you have any questions, please feel free to contact me.